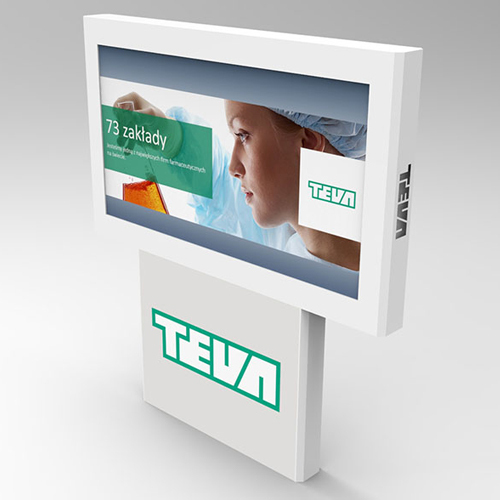 Modern info kiosks are part of the family of interactive devices for displaying advertising and information content. 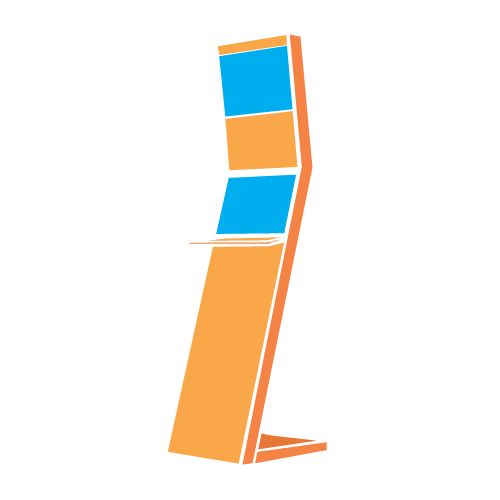 We offer them in standalone totems with a vertical / horizontal touch screens and in the form of wall screens. The device can be made in internal or external version, for working outside the buildings and equipped with a heating and ventilation system. All devices are mechanically protected – steel sheet, tempered glass, electronics locked. They show resistance to mechanical damage, and in the case of devices for outdoor installation also for external factors. Info kiosk can work with any operating system and any software application, the set may include computer and software. Depending on the type of the project, we offer different software. The one we recommend is the Central Stacks. 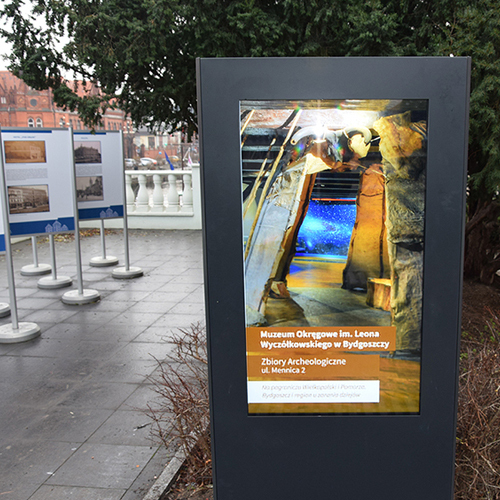 Info kiosk’s functioning maybe be based either on an interactive website, displayed on the monitor or on interactive photo and video display. In both cases after a certain time since the last click, it returns to the main page or return to the presentation. 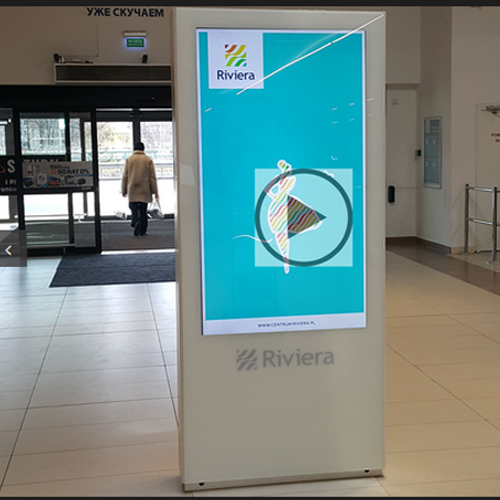 An additional convenience for our users is the availability of collecting statistics about clicks, screen looks and an option to scan the interactive advertising channel with the QR code from the screen to the mobile phone. Optionally, we can equip info kiosk with bar code reader, printer, camera and other. We design our solutions to the needs of our customers, bearing in mind the greatest possible functionality of the product. We care about full integration and intuitive operation. We take care of creating a user-friendly interface. Info kiosk help you to quickly find the information you need. This devise has often a list of relevant data such as location of branches, cash points, services provided. It allows you to use the Internet from the individual account. Software contains templates of letters, requests, etc. Info kiosk allows to present offers of treatments and other services along with prices. It is possible to check the reception time, the location of the clinics, the names of the physicians. Info kiosk can be used to approximate data on medicines etc. Info kiosk allows to check the availability of a book, a movie, a disc, or a reservation or an extension of a return. It allows to obtain information about the latest events organized in the area. Info kiosk allows to purchase / book a movie ticket, a match, etc. It help you check the repertoire of the theatre, the cinema, the opera, as well as know the topography of the facility, such as the museum, the zoo. Info kiosk also obtains up-to-date information on prices, promotions, additional services. They allow you to find tourist offers and interesting spots in a certain region, worth to visit. It allows also to display a map of a region. 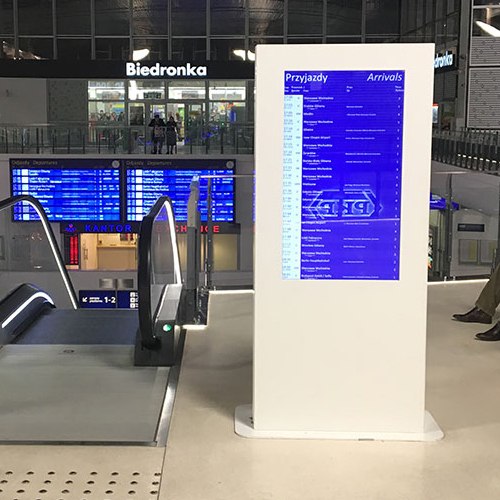 Info kiosk can present the topography of the facility – with the arrangement of rooms, departments. Practical way of the introduction important information for the recipients is in the form of codes, regulations, examples of requests, letters, etc. Device mediate in obtaining information about at what stage of consideration is a specific case. It allows also to present job offers or help register unemployed. public utilities, such as shopping centres, airports, train and bus stations.